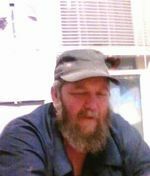 John Phil Long, age 51 of rural Ashland, OH., passed away Saturday, October 30, 2010, in Delaware, Ohio. On November 8, 1958 in Ashland, OH., Mr. Long was born to John P. and Norma (Van Over) Long. He had been a resident of Ashland all of his life and drove truck for Werner Trucking Co. Mr. Long formerly was employed for 20 years at Hospira. He enjoyed hunting and was a veteran of the US Marines. Mr. Long is survived by 2 daughters: Katie (Tom) Mcgugin of Lucas, OH., and Nikki Long at home; 1 grandchild; parents: John P. and Jacqueline Long of Ashland; grandmother, Rita Grego of Ashland; 5 sisters: Anne (Dale) Hershey of Ashland, Jamie (Dennis) Hootman of Ashland, Bobbie Long of Denver, Colorado, Vicky (Mike) Conley of Ashland, Ruth (Rob) Rofe of Ashland; and 2 brothers: Michael (Julie) Long of Hayesville, OH., and Matthew (Beckie) Long of Ashland. Mr. Long was preceded in death by his mother, Norma.